Did you know it takes roughly 4 tonnes of wood to make 1 tonne of charcoal? The design of the EcoGrill means that only about 100 gms of charcoal is needed to do a lot of cooking (about a quarter of the amount used in a typical aluminium disposable BBQ) and the timber shell is burnt efficiently and throughly giving a lovely smokey flavour. The EcoGrill also cooks for around 2 hours and gives heat for around 4 hours - so it's good news allround for the trees! Did you know that the word barbecue comes from the Caribbean island of Hispaniola (Haiti and Dominican Republic)? 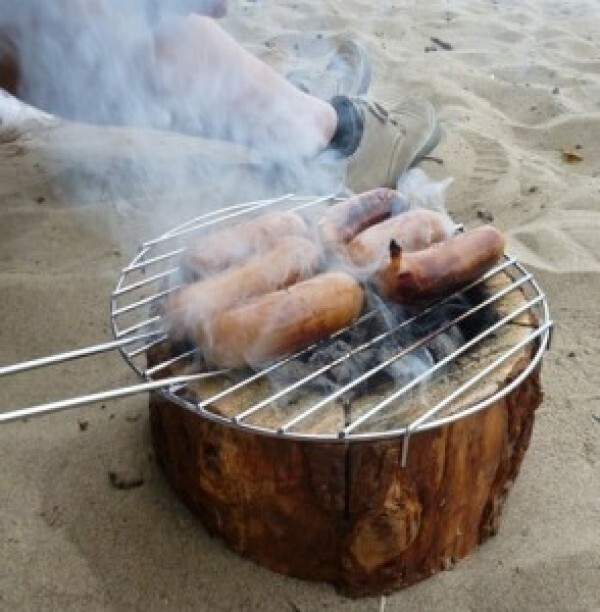 The native indians used a wooden frame, called a barbacoa, suspended over an open fire to smoke and dry meat.